Kyle Owens is a Texas-based attorney who helps successful businesses and individuals resolve conflicts and comply with their legal obligations. He focuses his practice on business and consumer-financial litigation and arbitration, and consumer-financial-regulatory guidance. Kyle has extensive experience working with clients in the Financial Services industry. Before joining Dykema, Kyle was Associate General Counsel at a Top 10 U.S. bank and its lead lawyer for multiple lines of business. In that role, he partnered with its executive teams and served as a legal, regulatory, and risk-management counselor to all levels of the business. Kyle has deep experience providing practical guidance to financial institutions regarding the laws and regulations applying to them. Among other areas, he has advised lenders regarding the Truth in Lending Act/Reg Z, the Real Estate Settlement Procedures Act, the Equal Credit Opportunity Act/Reg B, Fair Lending, the Fair Credit Reporting Act, the Electronic Fund Transfer Act, E-SIGN, the Fair Debt Collection Practices Act, UDAAP, the Telephone Consumer Protection Act, and the Flood Disaster Protection Act. Before going in-house, Kyle practiced complex commercial litigation and arbitration at a large international law firm. 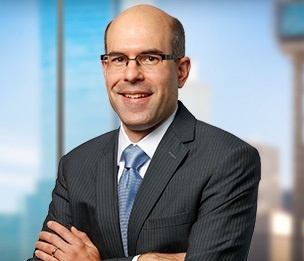 In addition to advising banks, lenders, and securities firms on various matters, he has litigated, arbitrated, and negotiated resolutions in a wide range of disputes in Texas and beyond, including contract, lending, securities, investment, insurance, probate, and trust matters. Kyle has arbitrated multiple disputes before the Financial Industry Regulatory Authority (FINRA), the American Arbitration Association, and the International Centre for Dispute Resolution. Litigated and arbitrated various disputes on behalf of brokerage firms in Texas state and federal courts and FINRA proceedings. Arbitrated lending dispute involving allegations of breach of contract, fraud, tortious interference, and usury on behalf of Texas bank in International Centre for Dispute Resolution proceeding in Houston. Represented banks and bank-holding companies in opposing third-party subpoenas demanding sensitive information. Assisted compliance department of prominent national broker-dealer with sensitive customer matters. Litigated disputes regarding the sale of life-insurance policies and estate planning on behalf of financial-services firms in Dallas and Houston state courts. Arbitrated tax-indemnification dispute involving allegations of breach of contract and fraud on behalf of British and American companies in International Centre for Dispute Resolution proceeding in New York City. Arbitrated contractual dispute involving allegations of breach of business-acquisition agreement’s “earn-out” provision on behalf of technology company in AAA proceeding in Austin. Arbitrated retirement-benefits and non-compete dispute involving allegations of breach of contract on behalf of former Big Four accounting-firm partner in AAA proceeding in New York City. Litigated dispute involving claims of breach of contract, breach of fiduciary duty, and fraud on behalf of former owner and director in suit brought by company’s new management in Dallas state court. Represented real-estate firms in lease disputes with commercial tenants. Obtained modifications of charitable-institutional funds on behalf of foundations in Texas probate court.